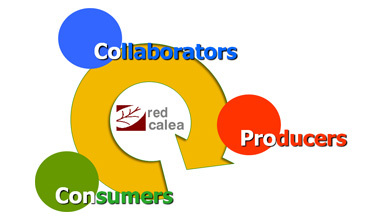 Red Calea is an agroecological consulting group with an innovative and pioneering business model, designed and motivated around the values inherent to agroecology. Our objective is to expand and consolidate the role of agroecology within rural areas, using it as a means to develop a truly sustainable model of rural growth, from a local perspective and following the guidelines laid out by social ecology. We are a dedicated team of professionals who, from the north of the Spanish region of Extremadura, work with government administrations, industry and social organisations through collaborative networks of individuals who share our values and ideas.